Photos look great with frames around them whether they are physical photos or digital photos. Unless you are gifted with tools like Adobe Photoshop or the excellent free alternative Gimp, adding cool frames to your picture could seem like a daunting task. 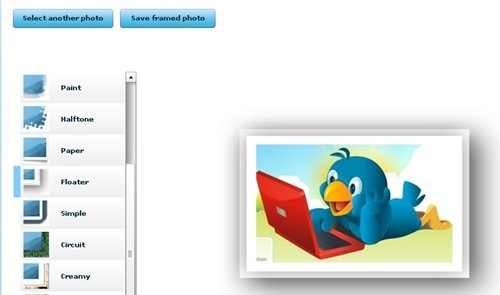 I have found a free tool that makes adding frames to your digital photos so easy. Framer is a web application that lets you select a picture and you get options to choose one of a dozen picture frames in the left. You get choices like Sketch, Curvy, Film, Paper, Floater, Circuit, etc. 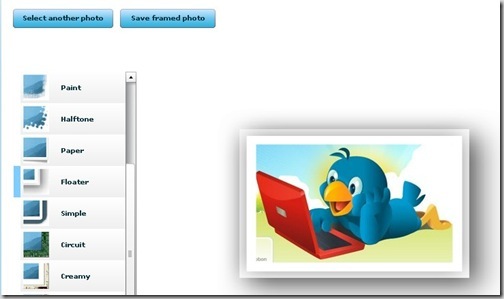 Once you add and preview a frame, you can save the framed picture to your computer. It is as simple as that! The framer tool is from a website called ClipYourPhotos.com and they have a few more nice image tools. Check out these cool tools and have a little fun with them.